Draft: 2013, Kansas City Royals, CBAth rd. Sean Anthony Manaea was originally signed by Royals scout Jason Bryans…graduated from Andrean High School in Merrillville, Indiana in 2010…attended Indiana State University…earned Second Team All-Missouri Valley Conference honors as a sophomore and junior…set a school single season ERA record (1.47) and ranked fourth in the NCAA with 11.4 strikeouts per nine innings in 2013…finished his career with 290 strikeouts in three seasons…named the Top Pitcher and Outstanding Pro Prospect in the Cape Cod League in 2012. Was 12-9 with a 3.59 ERA and .232 opponents batting average in 27 starts before going on the disabled list Aug. 26 with a shoulder injury …underwent surgery Sept. 19 and missed the remainder of the season…his ERA, opponents batting average, on-base percentage (.278), slugging percentage (.385) and OPS (.663) where the lowest of his three seasons…also had career lows in strikeouts per nine innings (6.05) and walks per nine innings (1.79) and had a career-high 3.38 strikeout-to-walk ratio…had a career-high 160.2 innings pitched and 21 home runs and matched his best in wins…based on a minimum of 150 innings, he had the fifth fewest walks per nine innings in the American League, the seventh lowest on-base percentage and the 10th lowest OPS… using the same minimum, he had the ninth fewest walks per nine innings in Oakland history, the 10th lowest on-base percentage and 10th best strikeout-to-walk ratio…led the A's in wins, starts, innings, strikeouts (108), hits (141), runs (67), home runs (21) and losses (9)…this marked the second consecutive season, fourth time in Oakland history (also 1996-97) and fifth time in Athletics history (1957) the A's did not have a pitcher with enough innings to qualify for the ERA title…it was just the sixth time in Oakland history the A's did not have a pitcher with at least 30 starts in a non-strike season (1979, 1986, 1996-97, 2017)…his nine losses match the fewest by a team-leader in a non-strike season in Oakland history (Hudson, 2001) and the 27 starts and 108 strikeouts were the fewest by an A's team leader since Steve Karsay had 24 starts and 92 strikeouts in 1997…went 4-2 with a 1.03 ERA and .134 opponents batting average over his first six starts through the end of April, 1-4 with a 7.18 ERA and .295 opponents average in six starts in May, 5-1 with a 3.12 ERA and .231 opponents average over his next 11 starts from June 5 to Aug. 1 and 2-2 with a 5.12 ERA and .316 opponents batting average over his final four starts… his .232 opponents batting average broke down to .231 (112-for-485) against right-handed hitters compared to .236 (29-for-124) against left-handers…surrendered 19 of his 21 home runs to righties and has allowed 52 of his 59 career home runs to righties…has a .746 career OPS against righties, .586 against lefties…opponents hit .197 with a .254 on-base percentage and .306 slugging percentage when leading off an inning…had a .193 opponents batting average the first time through the lineup, .255 after that…allowed a .189 batting average with two strikes…held the bottom four hitters in the order to a .174 average…was 6-1 with a 3.44 ERA in 11 starts during the day, 6-8 with a 3.69 ERA in 16 starts at night…is now 14-4 with a 3.49 ERA (67 er in 172.2 ip) in 29 career day games, 17-24 with a 4.20 ERA (136 er in 291.1 ip) in 52 starts at night…received a total of eight runs of support in his nine losses (1.61 RSA) and has 28 runs of support in his 28 career losses (138.0 ip, 1.83 RSA)... received two runs of support or fewer in 14 of his 27 starts and was 2-8 in those games…was 10-1 in his other 13 starts…is now 4-26 in 42 career starts with support of two runs or fewer, 27-2 in 38 starts with support of three or more…went 7-3 with a 3.27 ERA in 13 starts on the road and tied for 10th in the AL in road wins…went 3-0 with a 1.78 ERA in four starts against AL Central teams and now has a seven-game winning streak against the Central dating back to Aug. 23, 2016…is 8-2 with a 2.50 ERA (19 er in 68.1 ip) in 11 career starts against AL Central teams…was 11-5 with a 3.18 ERA and .213 opponents batting average in 20 starts against AL teams compared to 1-4 with a 5.00 ERA and .292 opponents average in seven interleague starts…the interleague starts tied for second most in a single season in Major League history (Peavy, CWS-BOS in 2013 had 9)…no other Oakland pitcher has made more than five interleague starts in a season…the losses set an Oakland interleague record and tied for the most in the majors in 2018…is now 3-7 with a 4.28 ERA (36 er in 75.2 ip) in 14 career starts against the National League, 28-21 with a 3.87 ERA (167 er in 388.1 ip) in 67 games against the AL…averaged 14.8 pitches per inning, which was the lowest mark in the AL among pitchers with 150 or more innings pitched…tied for second in the AL in most sacrifice hits allowed (4), tied for sixth in opponents reaching on an error (8) and tied for 10th in wild pitches (9)…walked two batters or fewer in 24 of his 27 starts. OAKLAND: Allowed one run in 7.2 innings in his first start on March 30 against Los Angeles (AL) and one run in 8.0 innings in his second start on April 4 against Texas to become the first A's pitcher on an Opening Day roster to start the season with back-to-back outings of seven innings or more and one run or fewer since Steve Karsay in 1994…won three consecutive starts from April 15 to 27 and allowed just two runs (one earned) on six hits over that stretch (0.39 ERA, .078 opponents batting average)…allowed two hits in seven innings at Seattle April 15 and then nohit Boston on April 21 to become the first A's pitcher with back-to-back starts of seven innings or more and two hits or fewer since Barry Zito (July 9-15, 2005)…shutout the Red Sox 3-0 in the no-hitter…walked two and matched his career high with 10 strikeouts…walked Betts to start the game but then retired 14 straight before Leon reached on a Semien error…set down the next 12 before walking Benintendi with two outs in the ninth…then got Ramirez to hit into a gameending force out…the no-hitter was his first career complete game…it came in his 59th game and 58th start and his streak of 57 consecutive starts without a complete game was fourth longest in Oakland history…the shutout came in the A's 21st game of the season and it was the earliest nine-inning shutout by an Athletic since Barry Zito on April 18, 2003 vs. Texas, the A's 17th game of the season…it was the seventh no-hitter in Oakland history and the 12th in Athletics history… it was the earliest by date (Catfish Hunter, May 8, 1968 vs. Minnesota) and second earliest by game number (Chief Bender, May 12, 1910 vs. Cleveland, game 18)…it was the 10th no-hitter in Coliseum history (six by A's, four by opponents)…it was the first since Dallas Braden's perfect game on May 9, 2010 vs. Tampa Bay…is the third Oakland pitcher to strikeout 10 or more in a no-hitter (Dave Stewart had 12 and Catfish Hunter had 11)…according to the Elias Sports Bureau, the Red Sox .895 winning percentage entering the game was the highest in Major League history by a team that was no-hit at least five games into the season…the last pitcher to no hit a team that led the majors in runs per game entering the game was the A's Dave Stewart, who did it against Toronto on June 29, 1990 (also Elias)…was named American League Co-Player of the Week for the week of April 16-22 along with Manny Machado for his efforts…it was his first Player of the Week award…allowed a fourth-inning single to Correa in his first start after the nohitter on April 27 at Houston, snapping his streak of consecutive hitless innings at an Oakland record 14.0…broke the previous mark of 13.0 held by John "Blue Moon" Odom from June 1-7, 1968…opponents went 0-for-47 off him during the hitless streak…went 4-1 with a 1.00 ERA and .130 opponents batting average in five starts in April…led the AL in ERA and opponents batting in April and tied for the lead in wins…was named AL Pitcher of the Month in April, his first Pitcher of the Month honor…it was the first time in his career he won four games in a month and the four wins match the most by an A's pitcher in the month of April over the last 28 years (ninth time, last: Triggs in 2017)…his ERA tied for the fourth lowest in any month in Oakland history among pitchers with 30 or more innings pitched…it was the lowest since Cory Lidle had a 0.20 ERA in Aug., 2002…had a .395 OPS and is the fourth pitcher in Oakland history with an OPS under .400 in a month with a minimum of 100 batters faced (.358, Lidle in Aug. 2002; .376, Torrez in Sept. 1976; .390, Ontiveros in June 1987)…then went 1-4 with a 7.18 ERA and .295 opponents batting average in six starts in May…tied for the AL lead in May losses and had the second highest ERA (Giolito, CWS 7.36)…it was the second time he lost four games in a month in his career (Aug. 2016)…yielded four runs on six hits in a 4-1 loss at Seattle May 3 to snap a season-opening streak where he allowed two runs or fewer and tossed five innings or more in each of his first six starts…that tied for the third longest such season-opening streak in Oakland history…it was the longest since Dave Stewart had a seven-game streak in 1990…surrendered a home run May 3 to begin a streak of nine consecutive starts from May 3 to June 16 in which he allowed a home run (10 home runs total)…that matched the longest streak by an Athletic over the last 30 years…had a four-game winning streak from June 16 to July 15…compiled a 3.25 ERA and .226 opponents batting average over that six-start stretch…was 3-0 with a 2.84 ERA and .202 opponents batting average in five starts in the month of June and is now 8-2 with a 3.27 ERA (31 er in 85.1 ip) in 14 career starts in the month…yielded a season-high nine hits in a 3-1 loss at Colorado July 27 but singled off Kyle Freeland in the second inning for his first Major League hit…went 3-3 with a 4.45 ERA and .314 opponents batting average over his final six starts…allowed six runs on nine hits in 4.0 innings for the loss on Aug. 19 against Houston, snapping a 12-game winning streak in day games…it was his first loss during the day since April 9, 2017 at Texas…tossed 5.0 innings without allowing an earned run to win at Minnesota Aug. 24 but it would be his final start of the season…was placed on the disabled list Aug. 26 with left shoulder inflammation…underwent arthroscopic surgery on the shoulder Sept. 19 at the Cedars-Sinai Kerlan-Jobe Institute in Los Angeles…the surgery, a subacromial decompression, acromioplasty and posterior labral repair, was performed by Dr. Neil ElAttrrache. Compiled a 12-10 record and a 4.37 ERA in 29 starts in his second season in the majors…went 1-3 with a 5.52 ERA and .179 opponents batting average over his first six starts, 7-2 with a 2.92 ERA and .246 opponents average over an 11-start span from May 20 to July 16 and 4-5 with a 5.55 ERA and .328 opponents average over his final 12 starts…led the A's in wins, games started, innings pitched (158.2), strikeouts (140), hits (167), walks (55) and hit batters (10)…this marked just the third time in Oakland history (Wengert, 161.1 ip in 1996 and 134.0 ip in 1997) and fourth time in Athletics history (Garver, 145 ip in 1957) the A's did not have a pitcher with enough innings to qualify for the ERA title…it was just the fifth time in Oakland history the A's did not have a pitcher with at least 30 starts in a non-strike season (Karsay, 24 in 1997; Wengert, 25 in 1996; Young, 27 in 1986; Langford, 29 in 1979)…now has 264 career strikeouts, which are third most in Oakland history by a pitcher in his first two seasons in the majors (Hudson, 301; Zito, 283), and 19 wins, which are tied for sixth most…allowed a .268 opponents batting average, including .227 (30-for-132) against left-handed hitters compared to .279 (137-for-491) against right-handers… surrendered 16 of his 18 home runs and issued 49 of his 55 walks to righties…had a .593 OPS against lefties, .809 against righties…now has a .207 (48-for-232) career batting average and .565 OPS against lefties compared to .271 (254-for-936) with a .783 OPS against righties…went 6-3 with a 4.19 ERA in 13 starts in Oakland and allowed just five home runs in 68.2 innings (0.66 per nine innings)…was 6-7 with a 4.50 ERA in 16 starts on the road and yielded 13 home runs in 90.0 innings (1.30 per nine innings)…is now 11-6 with a 3.55 ERA (60 er in 152.0 ip) in 27 career games at home, 8-13 with a 4.70 ERA (79 er in 151.1 ip) in 27 starts on the road…was 6-1 with a 3.57 ERA and .230 opponents batting average in 11 starts during the day compared to 6-9 with a 4.89 ERA and .292 opponents average in 18 starts at night…tied for sixth in the American League in day wins…is now 8-3 with a 3.53 ERA (41 er in 104.2 ip) in 18 career day games, 11-16 with a 4.44 ERA (98 er in 198.2 ip) in 36 starts at night…was 7-5 with a 3.76 ERA and .229 opponents batting average in 16 starts before the All-Star Break, 5-5 with a 5.23 ERA and .317 opponents average in 13 starts after the break…allowed eight home runs in 93.1 innings before the break, 10 in 65.1 innings after the break…12 of the 18 home runs he allowed were solo shots…allowed a .160 batting average with two strikes…held the three hitter in the batting order to a .216 batting average but the two hitter batted .377…now has a .207 (28-for-135) career average against the three hitter…went 5-7 against AL West competition, 7-3 against all other teams…yielded 43 of his 88 runs over the first two innings of his starts…had a 5.91 ERA over the first two innings of a game, a 3.08 ERA over innings three through five and a 7.13 ERA in the sixth inning…did not allow a run after the sixth inning (8.2 ip)…tied for third in the AL in pickoffs (4), tied for fifth in triples (5) and tied for seventh in unearned runs (11) and hit batters (10)…received no runs of support in four of his 10 losses. OAKLAND: Struck out a career-high 10 batters in just 5.1 innings in his second start of the season April 9 at Texas…became just the sixth pitcher in Oakland history to strike out 10 or more in fewer than six innings, the first since Rich Harden on Sept. 5, 2011 against Kansas City (10 so in 5.0 ip)… however, took the loss in an 8-1 decision…tossed 5.0 hitless innings in his next start April 15 against Houston but walked a career-high five batters and yielded two runs…is just the second A's pitcher since at least 1913 to toss five or more hitless innings and allow a run (Chris Codiroli, June 27, 1986 against Chicago)…became the first MLB pitcher since at least 1913 with the following pitching line: 5.0 ip, 0 h, 2 r, 1 er, 5 bb, 6 so… left with a 5-2 lead but ended up with a no decision as the bullpen allowed eight runs over the final three innings for the blown save and loss in a 10-6 decision…it was the first of three times the bullpen blew a save in one of his starts (July 22 at NYM, July 27 at Toronto)…allowed five hits in 6.0 innings April 21 against Seattle to extend his season-opening streak of consecutive starts with five innings or more and five hits or fewer to four…that matched the second longest such streak in Oakland history and was the longest since Chad Gaudin also had a four-game streak in 2007…left his start on April 26 at Los Angeles (AL) after just 2.0 innings with tightness in his left shoulder…was 1-2 with a 5.18 ERA in five starts when he was placed on the 10-day disabled list April 30 retroactive to April 27 with a strained left shoulder…made one start on a rehab assignment with Triple-A Nashville May 9 against El Paso and had a no decision in the Sounds 8-6 loss (4.0 ip, 4 h, 2 r, 1 er, 1 bb, 5 so, 72 pitches)…was reinstated May 15…walked a career-high tying five batters but yielded just two hits in 5.0 innings that day in a 6-5 loss to Seattle…defeated Boston May 20 to start a career-high five-game winning streak that spanned five starts through June 10…compiled a 1.97 ERA and .193 opponents batting average during the streak and issued just seven walks in 32.0 innings (1.97 walks per nine innings)…finished May with a 3-1 record, a 2.63 ERA and .167 opponents batting average in four starts…allowed six hits June 10 in the second game of a doubleheader at Tampa Bay…that snapped a streak of 16 consecutive games with five hits or fewer and two innings pitched or more from Aug. 23, 2016 to June 5, 2017…that tied for the third longest such streak by a Major League pitcher since at least 1913…it is the longest by an AL pitcher…had a career-high tying three-game losing streak from Aug. 1 to 18…compiled an 11.37 ERA and .415 opponents batting during the streak, which spanned four starts…tossed fewer than four innings in three consecutive starts from Aug. 1 to 12…is the first A's starting pitcher to toss fewer than four innings in three consecutive starts over the course of one season since Miguel Jimenez did it from April 30-May 12, 1994…faced seven batters and allowed six hits and a walk while pitching a career-low 0.1 innings in a 12-5 loss to Baltimore on Aug. 12 in Oakland…became the fourth pitcher in Oakland history to face seven or more batters in a game and have each batter reach safely via hit, walk or hit by pitch…went 1-3 with a 9.17 ERA and .391 opponents batting average in five starts in August…tied for fifth in the AL in losses in August…the opponents batting average was the highest in the AL among pitchers with 15 or more innings in August and the ERA was third highest…struck out just seven batters in 17.2 innings, an average of 3.57 per nine innings…is now 3-7 with a 5.75 ERA (33 er in 51.2 ip) in 11 career starts in August…then went 3-2 with a 3.54 ERA in five starts in September and is 4-2 with a 2.35 ERA (12 er in 46.0 ip) in eight career starts in the month…tossed a career-high 116 pitches for his 10th win of the season Sept. 6 against Los Angeles (AL)…allowed seven runs on a career-high tying 11 hits in 3.2 innings in an 11-1 loss at Boston Sept. 12…was scratched from his scheduled start Sept. 23 against the Rangers with a left upper back strain…returned to make his final start Sept. 28 at Texas and allowed one unearned run in 6.2 innings for the win. Made his Major League debut with the A's following an April 29 promotion and went 7-9 with a 3.86 ERA in 25 games, including 24 starts…ranked second among American League rookies in strikeouts (124), innings pitched (144.2) and games started and tied for fifth in wins…the strikeouts tied for sixth most in Oakland history by a rookie…allowed a .248 opponents batting average and walked 37 batters for a .298 on-base percentage…was 2-4 with a 6.02 ERA and .282 opponents batting average in nine starts when he was placed on the 15-day disabled list June 14 with a left pronator strain…was reinstated June 29 and went 5-5 with a 2.74 ERA and .229 opponents batting average in 16 games, 15 starts, following his return…his ERA following his return from the DL was fifth lowest in the AL…his opponents batting average included .180 (18-for-100) against left-handed hitters compared to .263 (117-for-445) against right-handers…based on a minimum of 140 innings pitched, the mark against lefties was second lowest in the AL and the lowest in Oakland history (previous: .185, Norris, 1980)…allowed 17 of his 20 home runs and issued 33 of his 37 walks to righties for a .754 OPS…had a .526 OPS against lefties, which was second lowest in the AL and in Oakland history (.504, Norris, 1980)…opponents hit .192 with runners in scoring position, which was third lowest in the AL among pitchers with 140 or more innings pitched…had a .152 average with RISP and two outs…held the three hitter to a .197 average, which was fifth lowest in the AL…went 4-4 with a 2.67 ERA and .220 opponents batting average in 13 games after the All-Star Break after going 3-5 with a 5.24 ERA and .278 opponents average in 12 starts before the break…had the fifth lowest post-break ERA in the AL…was 5-3 with a 3.02 ERA in 14 games (13 starts) at home compared to 2-6 with a 4.99 ERA in 11 starts on the road…had the fifth lowest home ERA in the AL…had a 1.59 ERA and .210 opponents batting average over innings one through three and a 6.21 ERA and .283 opponents batting average from the fourth inning on…among pitchers with 20 or more innings, he had the lowest first inning ERA in the majors (1.13) and the fourth lowest second inning ERA (1.44)…his first inning ERA was third lowest in Oakland history using the 20 inning minimum…13 of his 20 home runs came after his 60th pitch in a game…yielded a .430 batting average and .733 slugging percentage when the opponents put the first pitch in play but had a .157 opponents average with two strikes…received one run of support or fewer in 10 of his 24 starts and went 0-6 with a 3.90 ERA in those contests…in his four no decisions with support of one run or fewer, he has scoreless outings of 8.0 innings, 7.0 and 6.0 and one outing where he allowed one run in 7.0 innings…tied for eighth in the AL with three pickoffs and opponents were successful in 3-of-7 (42.9%) stolen base attempts off him…the A's were 11-13 (.458) in his starting assignments…walked two batters or fewer in 19 of his 24 starts and allowed two runs or fewer 13 times. 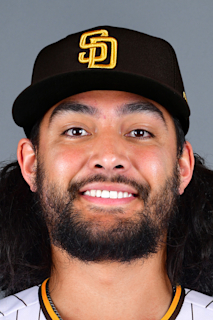 February 13, 2019 Oakland Athletics placed LHP Sean Manaea on the 60-day injured list. Recovering from left shoulder surgery. October 2, 2018 Oakland Athletics reassigned LHP Sean Manaea to the minor leagues. August 26, 2018 Oakland Athletics placed LHP Sean Manaea on the 10-day disabled list. Left shoulder impingement. May 15, 2017 Oakland Athletics activated LHP Sean Manaea from the 10-day disabled list. May 9, 2017 Oakland Athletics sent LHP Sean Manaea on a rehab assignment to Nashville Sounds. April 30, 2017 Oakland Athletics placed LHP Sean Manaea on the 10-day disabled list retroactive to April 27, 2017. Left shoulder strain. June 29, 2016 Oakland Athletics activated LHP Sean Manaea from the 15-day disabled list. June 24, 2016 Oakland Athletics sent LHP Sean Manaea on a rehab assignment to Stockton Ports. April 29, 2016 Oakland Athletics selected the contract of LHP Sean Manaea from Nashville Sounds. April 5, 2016 LHP Sean Manaea assigned to Nashville Sounds from Midland RockHounds. February 10, 2016 Oakland Athletics invited non-roster LHP Sean Manaea to spring training. July 31, 2015 LHP Sean Manaea assigned to Midland RockHounds. July 17, 2015 LHP Sean Manaea assigned to Northwest Arkansas Naturals from Wilmington Blue Rocks. June 29, 2015 LHP Sean Manaea assigned to Wilmington Blue Rocks from AZL Royals. January 26, 2015 Kansas City Royals invited non-roster LHP Sean Manaea to spring training. April 8, 2014 LHP Sean Manaea assigned to Wilmington Blue Rocks from Idaho Falls Chukars. April 2, 2014 Idaho Falls Chukars activated LHP Sean Manaea. December 5, 2013 LHP Sean Manaea assigned to AZL Royals. June 21, 2013 Kansas City Royals signed LHP Sean Manaea.